Sept 5th Golf and/or Dinner at Tilden Park! Join the Fun-Raising! Join us for a wild and whacky Golf tournament at Tilden Park, or just for dinner and our live auction and raffle. Local politicians, campers, staff and friends are coming together to help our Rebuild Camp Fund. Email: jimwhitty@comcast.net for more details and to sign up for golf or dinner, or both! Click on the photo below for more details. FRESNO, Calif. (AP) — While the flames still raced through California’s Sierra Nevada last year, investigators zeroed in on a deer hunter they had rescued by helicopter an hour after the first report of the wildfire that would become the mountain range’s largest in its recorded history. They pressed the hunter, who said at first he caused a rockslide in a remote corner of the Stanislaus National Forest that sparked the blaze, and then blamed illegal marijuana growers, denying he even took a lighter on his hunting trip, according to a search warrant affidavit. On Thursday — nearly a year later — a grand jury returned a four-count indictment against Keith Matthew Emerald, 32, alleging he started a campfire Aug. 17, 2013 in an area where fires were prohibited, and it spread beyond his control and turned into the massive Rim Fire. The fire raged for two months across 400 square miles of land including part of Yosemite National Park, threatening thousands of structures, destroying 11 homes and costing more than $125 million to fight. Investigators said Emerald gave inconsistent and changing versions of what happened during multiple interviews that began almost immediately after he was rescued and stretched over several weeks. Emerald was carrying bow hunting equipment when he was picked up from the Stanislaus National Forest, and rescuers and others who had contact with him initially told investigators he appeared not to understand the gravity of the situation and showed little remorse or interest in the dangerous rescue that had just occurred or the status of the fire, according to the affidavit. A call to Emerald’s attorney, federal public defender Janet Bateman, was not immediately returned. After multiple interviews and a promise from investigators that they would keep his name out of the media for as long as they could, he acknowledged having a lighter, starting a fire and cooking a meal, according to the affidavit. He burned trash from his backpack, but some of the embers blew uphill and set the brush on fire, he allegedly told investigators in a handwritten statement.”The terrain was almost vertical, so I physically couldn’t put it out,” he wrote. “The wind was blowing up the canyon hard enough to almost blow my hat off.”He later recanted, but investigators said a man who drove Emerald to pick up his truck after the fire began said Emerald acknowledged setting a campfire that got out of control.Emerald, a resident of Columbia, a town in the Sierra Nevada foothills, is also charged with lying to a federal agent. He has not been arrested, and prosecutors said no court date has been set for his arraignment.Authorities previously said the wildfire was started by an illegal fire set by a hunter, but they withheld the hunter’s name pending further investigation. In the affidavit, investigators said Emerald was worried about community retaliation if his name got out.”The Rim Fire was one of the largest in California history and caused tremendous economic and environmental harm,” U.S. Attorney Benjamin Wagner said in a written statement. “While those harms cannot be undone, today we have brought criminal charges relating to the cause of the fire.”The charges were the result of an investigation by the U.S. Forest Service and the Tuolumne County district attorney’s office, Wagner said.© 2014 Hearst Communications, Inc.
1. Afternoon thunderheads and little sprinkles of rain. So there’s hardly any red dust on your toes and everything else you own. And plenty of wildflowers among the cabins and pines! 2. The jaw-dropping view of Lake Tahoe from the Rec Hall, the volleyball court, some fortunate cabins, and the green Adirondack chairs built by the Friends of Berkeley Tuolumne Camp. 3. The camp is relatively flat and easy to walk. 4. 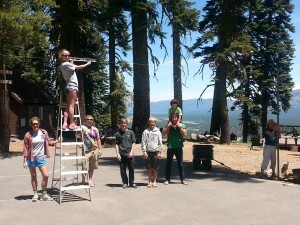 The program is smaller: 25 cheery staffers and 130 campers, compared to 60 staffers and 250 campers at Tuolumne Camp. Somehow smaller is even friendlier. The Dining Hall is quiet enough to actually converse with your table mates or chat with folks in the buffet line. 5. The food is better than I remember: Lunch was turkey, veggie, or beef burgers; dinner was tri-tip with rosemary potatoes, penne pasta, plus a salad bar; breakfast was cheesy eggs, sausage, melon, and hot oatmeal. 6. Tuolumne Camp tradition is alive, with silly songs and chants, Kiddie Kamp, the staff show, Theme Days, Bingo Night, sports tournaments, arts & crafts, nature hikes, tie-dye, and more. 7. There’s plenty to do besides relax. Volleyball, badminton, archery, table tennis or bocce ball, anyone? The lifeguards are hoping to reopen their pool soon. Berkeley Camp keeps canoes at the Echo Lake Marina, a short walk down the road, where you can fish or ride in a water taxi. 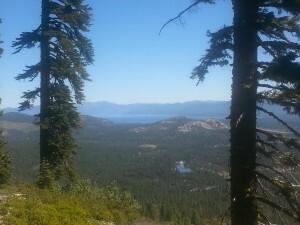 Hiking is at your doorstep on the Pacific Crest Trail and in the Desolation Wilderness. Birders have already spotted flickers, sapsuckers, woodpeckers, tanagers…. Campers have donated what looked like about 50 board games. 8. They’ve got a real recycling program now for bottles and cans. Also metal food lockers for campers’ snacks, to keep the local ground squirrels (and black bears) out of your tent cabin. 9. The canvas tent tops look new. Many cabins have decks, with wooden picnic tables and seats nearby in the trees. Our cabin had eight built-in bunks with mattresses, but no electricity. 10. Short showers are encouraged, to save water, but they’ve got flush toilets and the nicest porta-potties ever. Seriously. These port-potties are so clean they’re poetic. The new green chair circle up at Echo Lake. Join Friends of Berkeley Tuolumne Camp, former staff members, and other campers for a special evening commemoration/celebration at beautiful Codornices Park. We will start with an Adult Social Hour from 5:30-7:00 (with Children’s Hour happening simultaneously, of course) and then will enjoy our traditional Friday Campfire from 7:00 to 8:00 or so. Janet, Phil, and other old-timers will lead us in singing all the classics, as we roast marshmallows and keep the Camp Spirit alive. Because of limited space, you must register to attend this event. Please visit https://www.eventbrite.com/e/btc-memorial-campfire-tickets-12364343083. The password is ‘Beaverhead’. Join FOBTC, friends and family to remember and mourn the loss of our camp, but to also find solace in our community, and in the Tuolumne Spirit, as we continue on the path towards rebuilding Camp. Please bring a candle and a friend. The First Fundraiser: a Golf Tournament and Dinner at Tilden Park! Prizes include vacation get-a-ways, expensive wine, an authentic green, adirondack camp chair and more! Email Jim at JimWhitty@comcast.net for more details or if you are interested in helping or donating. Alert to all Friends of Berkeley Tuolumne Camp: FOBTC board members have been following the US Forest Services Rim Fire Recovery Project and its effect on our beloved BTC and the entire RIm Fire area. We are very concerned that their approach may be to clear-cut much of camp more indiscriminately than we feel is necessary. The deadline to submit letters to the US Forest Service on this issue is THIS coming Saturday, June 14. Please use this boilerplate letter attached to write to them (either email or paper letter) or else use the talking points within the boilerplate letter to write something more in your own words or style. 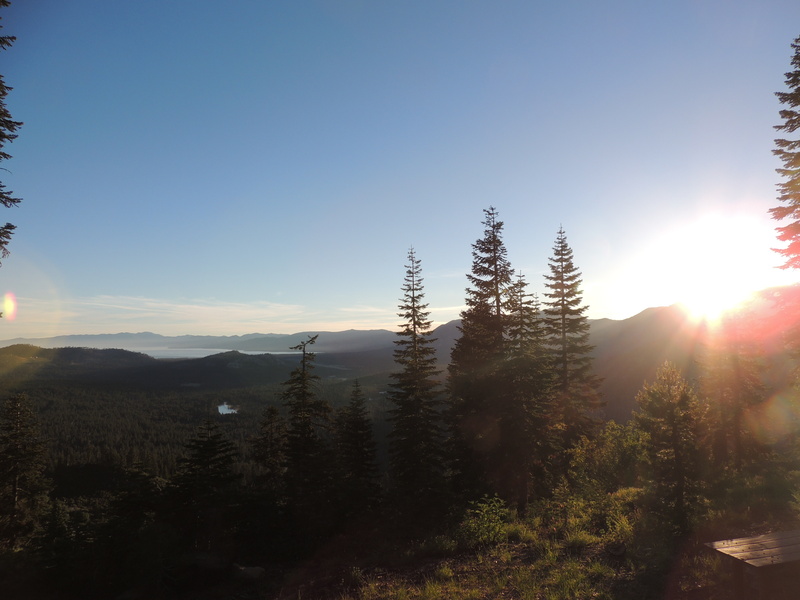 Remember, the deadline to submit letters to the US Forest Service on this issue is THIS coming Saturday, June 14. We need to keep as many trees standing as possible- please help. Draft text for letter to USFS – please copy the text and send it in, then send it along to all your friends and family! 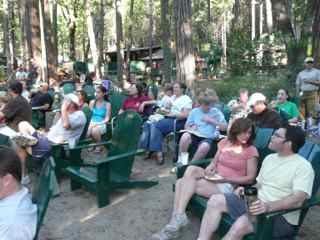 As a Berkeley Tuolumne Camper I have been visiting the Stanislaus National Forest for _________ years. 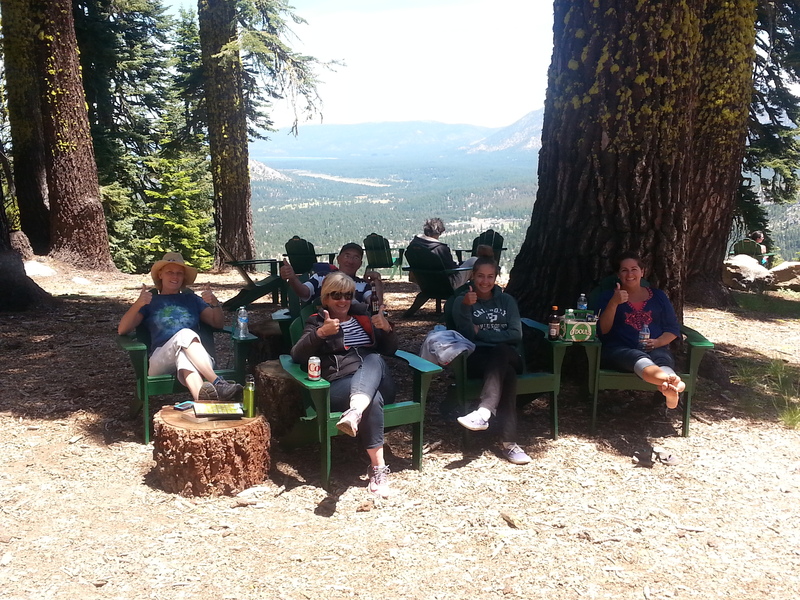 Each summer, our family spends many sunny days on the South Fork Tuolumne seeing old friends, hiking, enjoying camp traditions, __________, ___________. Like thousands of other Tuolumne Campers around the U.S. we were devastated by the loss of one of our favorite places in the world in the 2013 Rim Fire. I am hopeful that we will one day return to a rebuilt camp, and I am encouraged by all the hard work the Forest Service is doing to restore the forest and improve recreation access. 1) Recreational Values: At Berkeley Tuolumne Camp in particular, salvage logging can improve fire safety but must also balance the need for recreation experiences and traditions. Since it is just a 14.5 acre site, I hope you’ll develop a “Special Treatment Prescription” that considers the recreational needs in this high-use area. I urge the Forest Service to work with the City of Berkeley, Tuolumne River Trust, and the Friends of Berkeley Tuolumne Camp to plan safe, recreation-appropriate, and science-based salvage logging operations along the South Fork Tuolumne and other developed recreation sites. Berkeley Camp has a rich 91-year history and brought thousands of people into the Stanislaus National Forest each summer, supporting the USFS recreation goals. While there are many hazard and damaged trees that must come down, there are also some trees with only moderate or light burn damage, some that are recommended for monitoring, and some that were unharmed. With a “Special Treatment Prescription” we hope that the Forest Service will leave as many trees standing as possible. Since reconstruction is several years off, access to the camp can be restricted, reducing the hazard which burned trees might pose while allowing time for those that might recover. 2) Wildlife habitat: In the South Fork Tuolumne canyon, and the Stanislaus National Forest as a whole, USFS should provide much greater consideration to the at-risk, snag dependent wildlife. The means to do this is to adopt a modified version of Alternative Four by reducing the number of trees cut and leaving more snags in place. 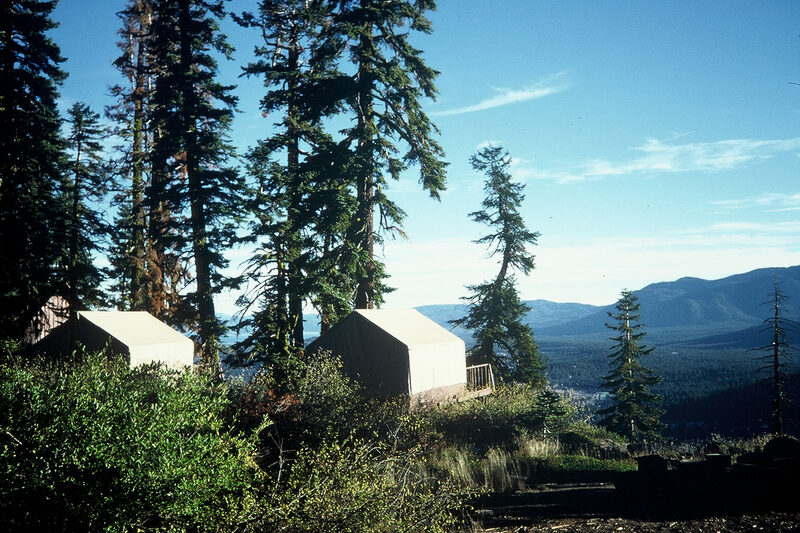 Spotted Owls and Northern Goshawks have been seen at Berkeley Tuolumne Camp, and we would like the Forest Service to protect this vital habitat. 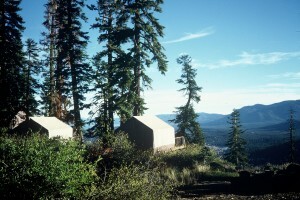 As a longtime camper, hiker, ____________, _____________ in the Stanislaus National Forest, it is important to me that the salvage logging operations in the Rim Fire do not have negative impacts on critical wildlife habitat, and that the unique recreational values and traditions of the Berkeley Tuolumne Camp special-use permit area are taken into consideration. I support salvage logging in the Rim Fire Area, but only if balanced with habitat protection and recreational needs of National Forest visitors. Thank you for all of your hard work since the Rim Fire in helping our National Forest recover, and thank you for inviting public comment on this very important project. The Tuolumne River needs us today more than ever. The drought is putting tremendous pressure on government agencies to relax protections for water quality and endangered species. We need to make sure our hard-won victories are preserved. Last fall, 97% of the Rim Fire burned through the Tuolumne River watershed. We need to make sure the Recovery Plan places an equal value on ecosystem restoration as it does on salvage logging. An Environmental Impact Statement (EIS) will be released in the next few weeks, and the Tuolumne River Trust (TRT) will be heavily engaged in making sure it’s based on sound science. Water conservation, efficiency and recycled water are key to balancing the needs of humans with those of other species that depend on the Tuolumne. In the San Francisco Public Utilities Commission (SFPUC) service territory, where 2.6 million people depend on the Tuolumne, we have reduced water consumption by 15% over the past seven years. This has created a healthy buffer against the drought, and serves as a good example to others. We must continue to use our precious water more efficiently. I’m proud to work for the Tuolumne River Trust, which I believe is one of the most effective environmental groups in the region. Our strength comes from people like you! Please help us continue to be as effective as possible by joining me on the river for a day or two of paddling, sponsoring my paddle or volunteering for a riverside event. Scott Gelfand and the Events committee of FOBTC organized an information/Table Night event at the Freight and Salvage in Berkeley. 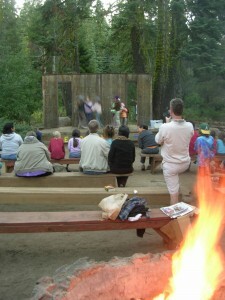 Over 350 tickets were purchased and an excited group of campers arrived to see traditional Table Night skits and to hear about the City of Berkeley’s progress on rebuilding Berkeley Tuolumne Camp. The highlight of the evening was a short speech by Berkeley mayor Tom Bates announcing that the City was committed to rebuilding Camp, despite many known and unknown hurtles. The mayor received a standing ovation for his pledge. In addition, the mayor presented a plaque from FOBTC to Mike McEneany for his historic efforts to save Camp back in the early 1980’s when it was threatened by a dam project. Mike also was instrumental as a found member of the Tuolumne River Trust who successfully gained a “Wild and Scenic” Federal declaration for the main stem of the Tuolumne River. Patrick Koepple, Executive Director of the Tuolumne River Trust spoke for 15 minutes on the efforts of his organization after the devastation of the Rim fire to the Tuolumne watershed. One of his most poignant comments was that only 16% of the Tuolumne River water flow was dedicated to fish and wildlife. The final speaker of the evening was Scott Ferris, Director of Parks & Waterfront for the City of Berkeley. Scott informed the crowd of his many efforts to get Camp cleaned up and his negotiations so far with the City’s insurance carriers, FEMA and the US Forest Service, from whom the City leases the Camp. Many questions remain but Scott continues to be hopeful that BTC may one day be rebuilt. He cautioned that the process would be slow and could easily take up to four years to complete. In the meantime, he encouraged all the BTC campers to take advantage of the City’s Echo Lake Camp as they have opened three weeks of their season to Family Camp. It was an enjoyable evening with Table night and skits interspersed between speakers and with the excellent MC talent of Scott Gelfand, the creator, along with Board President Steve Geahry, of the many Saturday night Staff shows. Many thanks to The Tamsen Donner Blues Band who greeted the guests as they arrived with their tunes; Katie Whitty, Patricia and their staff helpers who handled sales; Lisa Bullwinkle and Beth and Rose Gelfand for managing the box office; and the amazing talent of the night, Finn the Magnificent & Miss Direction; Ava Killbourn’s amazing essay on the Rim Fire and Camp; Aaron Bendich who is competing in the World-Championships in Yo Yo Talent, Amy Schaffer with Suzanne Praetzel singing Fields of Gold, and Sophie and Felix Sparling singing and strumming “The Old Man of the Mountain”! What a talented camp we have! On April 10, 2014 the Board of FOBTC welcomed new members Scott Gelfand and Richard Sheng. David Newell and Chris Ahlstrand, long time Board members, are both becoming Board Members Emeritus. New Board President, Steve Geahry, is excited to be leading the new team into this new era of “re-building BTC” in the tradition of the founders of FOBTC. When the organization was founded, it was in response the threat of flooding the area for a new dam/reservoir. Joining forces with other organizations, FOBTC was a strong advocate for the area that was preserved from flooding. As wee continue to be a voice for campers, our efforts now are focused on the the camper experience at the temporary family camp at Echo Lake and the re-build of the site in Tuolumne. The 2014 Board of Directors for FOBTC is excited to be working together as well as with other organizations and the City of Berkeley in this time of transition, planning and building the new future of Camp.